In this fresh take on the Ocean’s franchise, we follow Debby Ocean (Sandra Bullock), sister to Danny Ocean (George Clooney’s character for the prior Ocean’s franchise). Fresh out of prison, she is eager and looking to assemble a crew to execute a new criminal scheme she has masterminded during all her free time sitting in the clink. She assembles a ragtag group of criminals who range from women desperate to get out of their troubles to those who just want to make ends meet, criminally of course. Debby Ocean’s master plan? Steal one of the most valuable pieces of jewelry from under the noses of everyone during one of the most exclusive and exorbitant gatherings in America, the Met Gala. Keeping with the tradition of the previous Ocean’s franchise, the all-star cast delivers fun and complete performances for each of their respective characters. Each character had a very individual feel to them. It was honestly a pleasure watching a lot of the women interact with each other because everyone felt so different. Even down to the costuming, each of the characters has a specific look to them that makes each person vastly different from the last. At the end of the day, the movie is carried by the fantastic acting of the ladies trusted to breathe life into this new franchise. Not to dismiss the other factors that make the characters great, but c’mon, didn’t you see how many all-stars were cast in this flick? The cast, however, carries the entertainment of the film too much of the time. The heist itself is not very compelling or even eventful. While we do get a good look at the personality of these characters, most of the characters motives were never established or explored to its full extent. It made it hard to care about why these women were compelled to do the crime. On top of that, the stakes of the heist are next to nothing. The conflict of the film was not strong enough, and it’s hard for me to say it ever existed. The direction of the film felt flat a lot of the time too. A lot of what makes the Ocean’s franchise so intriguing is it’s slick and tailored world. 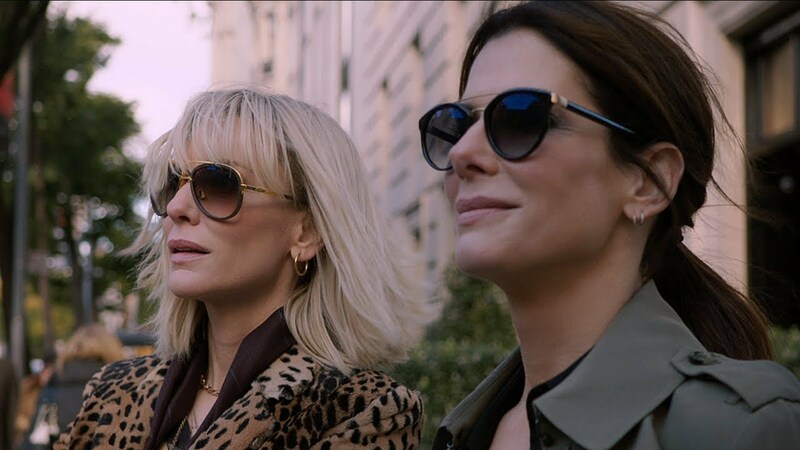 A lot of that fun 1960’s heist feel is gone in Ocean’s 8, which left me feeling disappointed. The editing tries to compensate for that with its stylized transitions, yet I left wanting more of that classic heist atmosphere. REVIEW — "Won't You Be My Neighbor?"